This is firmly in the rumor category, but we wouldn’t be surprised to see Samsung see how big of a tablet buyers would be willing to get. Samsung likes to go big. It pioneered the phablet craze with its Galaxy Note series and isn’t afraid to try outside-the-box hardware, as its latest flagship Galaxy S6 Edge+ features curved glass. So that gives at least some credence to the rumor that Samsung is prepping a ginormous tablet, codenamed Tahoe, with an 18.4-inch screen. According to the SamMobile report, it will have an LCD screen with a 1920×1080 resolution, an octa-core 64-bit, 1.6GHz Exynos 7580 processor, 2GB of RAM, 32GB of storage, a microSD slot, and a 5,700 mAh battery. We’ll keep an eye out to see if this materializes. Why this matters: Samsung makes a ton of tablets; including one that’s already on the big side in the 10.4-inch Tab S. This feels like it would be an experiment in just how big of a tablet people will actually purchase. But if there’s a company that would be willing to roll the dice to sell a few thousand units, it would be Samsung. On Thursday Oct 30th, Samsung said its sales were stalled by iPhone anticipation. On Friday Oct 31th, the company announced its new A3 and A5 phones for the Asia market, with features seemingly designed to counteract the siren song of Apple’s fashionable phones. The A5 and A3 match the all-metal build of the Galaxy Alpha, adding momentum to Samsung’s move away from plasticky phones. Their specs sit firmly mid-range otherwise: Both phones sport a 1.2GHz quad-core processor, Super AMOLED display, a 5MP front-facing camera, and 16GB of storage. You can expand that up to 64GB by tossing in an SD card. In another break from Samsung’s past, neither phone’s battery is removable. Both models are super-slim. The A3 matches the iPhone 6 at 6.9mm. 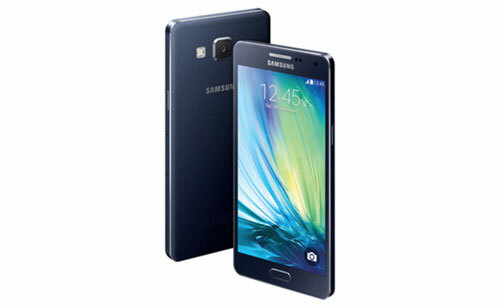 The A5 inhales even more deeply, measuring just 6.7mm thin. The A5 wins out in other specs, with a 5-inch, 1280×720 screen, 2GB of RAM, and a 2,300mAh battery. The A3 has a 4.5-inch screen with a 960×540 resolution, 1GB of RAM, and a 1,900mAh battery. Both phones ship with Android 4.4 KitKat. Samsung did not specify plans to upgrade to Android Lollipop, but we do know the company’s been tinkering with the new mobile OS. The story behind the story: The Galaxy A series is Samsung’s attempt to win over those tempted by the smooth looks of the iPhone. The Galaxy Alpha started the all-metal lineup, and the Galaxy Note 4 has a metal band and faux leather back that’s more refined than previous models’ designs. Given that Samsung’s smartphone sales were apparently hurt by iPhone anticipation, Samsung seems wise to focus on glamour this time around. Samsung is hoping to breathe new life into its phone lineup with a new design scheme that breaks away from the plastic, unsophisticated feel common among the company’s smartphones. After many leaks and rumors Samsung announced the Galaxy Alpha Wednesday, calling it a “new design approach” for the company’s smartphones. The Alpha is just below 7mm in thickness, runs Android 4.4.4, and is powered by an Exynos processor with four ARM Cortex-A15 cores running at 1.8GHz and four Cortex-A7 cores running at 1.3GHz. The screen is smaller than the current flagship Galaxy S5, measuring 4.7 inches with a resolution of 1280×720 resolution (a respectable 312 pixels per inch). Other hardware specs include a 12-megapixel back camera and a 2.1-megapixel front-facing camera. The phone has 2GB of RAM and 32GB of internal storage, without the typical SD card slot found in many of Samsung’s other phones. The LTE modem supports download speeds up to 300 Mbps, although you’re not likely to get that kind of performance from your cellular carrier for awhile. Given the device’s lighter build, smaller screen size and lower-range specs it appears targeted more at potential iPhone buyers than those comparison shopping an HTC One (M8) or LG G3, as those phones feature screen sizes above five inches and sturdier construction materials. Despite the Alpha’s new design scheme, it retains much of the the look of previous Galaxy devices, with a semi-oval home button and dimpled, removable back cover. In its release Samsung says the phone will be available in four colors, which it calls Charcoal Black, Dazzling White, Sleek Silver, and Scuba Blue. Availability will vary depending on the market. 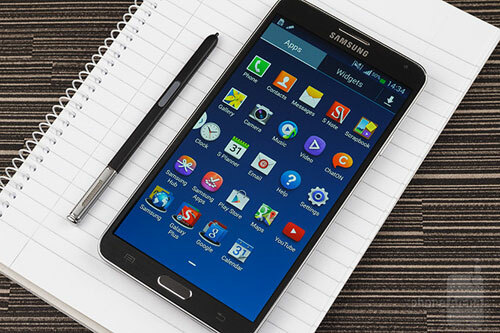 Samsung is not done releasing phones, as it next will unveil the Galaxy Note 4 on September 3. Greenbot will be on hand for the press event in New York. The build of that device will indicate how far Samsung is willing to take its push for a new design. Earlier in August a Samsung executive sought to console nervous investors by promising more smartphone releases that had better build quality. The company experienced its first yearly profit drop and a large stock sell off by investors. 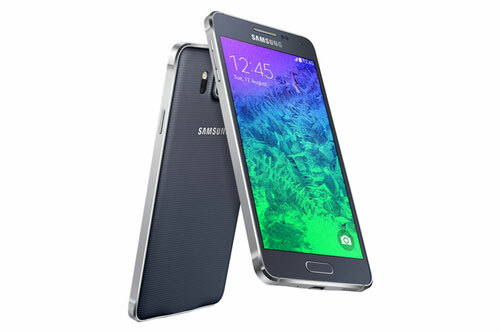 Samsung did not reveal a specific release date or price for the Galaxy Alpha, only saying the phone would be available in early September. Months after revealing the Galaxy S4, which turned out to be another global sales smash for the surging Apple competitor, Samsung is surely hoping that its new gadgets will make a similar splash in the market. What does the Korean tech behemoth have in store? Here’s what we’re expecting (and make sure to follow @YahooTech on Twitter for all the latest). 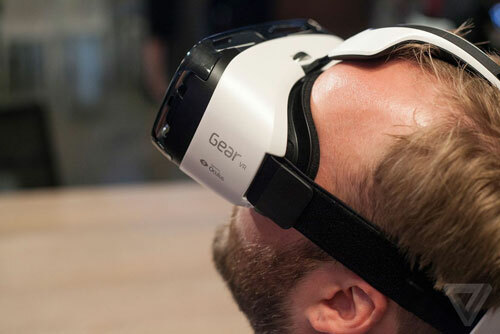 For this Unpacked event, we hope Samsung brought a huge suitcase. We’re definitely expecting a third edition of the Galaxy Note, the so-called “phablet” that pushed the boundaries of smartphone screen size when it was first introduced in 2011. 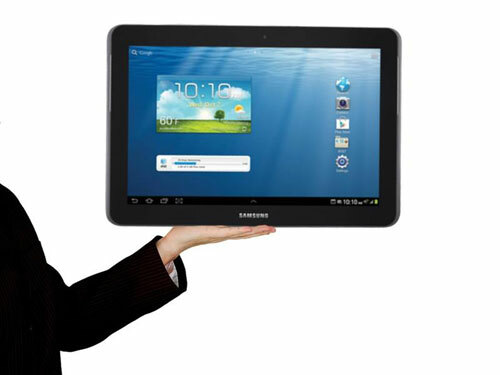 Leaks indicate that the Galaxy Note III will be even larger than its predecessor, with a 5.7 inch display (compared to a 5.5 inch display on the Note II, and a 5.3 inch display on the original Note). There are also rumors that the Note III will include a fingerprint sensor, to enhance security both for locking and unlocking the device, and perhaps for more secure “tap-to-pay” payments via NFC. Apple has also been rumored to include a fingerprint sensor on its upcoming iPhone, to be announced on September 10; and though smartphones have shipped with fingerprint scanners and sensors before — predominantly in Japan — the Galaxy Note III would be the first mainstream American phone to ship with one, should the rumors be true. A tweet from noted tech leaker @evleaks, meanwhile, allegedly reveals even more about the phone’s hardware and software: Per an alleged screenshot of the phone’s Setting screen from @evleaks, the Galaxy Note III will run the brand new Android 4.3 operating system, making it one of, if not the, first smartphones to ship with the latest version of Android. Evleaks also indicates that the Note 3 will sports a 2.3 Ghz quad-core processor and a 2.5 GB of RAM. And, finally, one accessory we fully expect the Note III to ship with: a stylus. Each of the first two Galaxy Notes have included a stylus, or “S Pen,” and we don’t expect the Note III to be any different than its predecessors in that respect. Reports are also leading us to believe that the world’s largest smartphone maker is likely to introduce a smartwatch at tomorrow’s event. In fact, Samsung’s purported wrist watch device may be even be packing some impressive, smartphone-like guts. According to information obtained by AmongTech, Samsung’s smartwatch, reportedly named the Galaxy Gear, will pack a 1.5Ghz dual-core processor, a 2.5” touchscreen watch face and a 4 MegaPixel 720p front-facing camera. It’s believed that the Gear will also be running a version of Android Jellybean, designed to run some Android apps, and come equipped with an accelerometer and Bluetooth 4.0 capabilities. Though Samsung’s eventual addition of a smartwatch to its line of devices was expected, an unveiling on Tuesday means that Apple’s Korean rival may end up beating them to market. Reports earlier this year have pinned Apple to the development of an iWatch, also believed to be a smartwatch device. One reported Galaxy Gear that turned out to be little more than a dream: a flexible, wrap around-type screen. In an interview with The Korea Times last month, Samsung Mobile’s executive vice president Lee Young-Hee revealed that the Gear “won’t have a flexible display.” Maybe next year’s model.